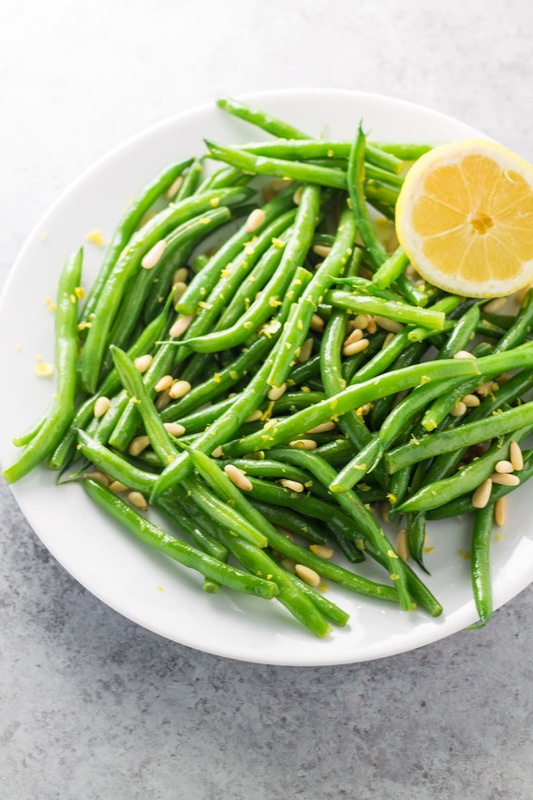 Fresh and crunchy, these Low FODMAP Lemon Green Beans with Pine Nuts are vegan, paleo-friendly, and easy-to-make! My go-to formula for creating a quick meal is protein + starchy veggie + green veggie. 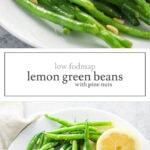 For example, I recently made a quick meal of broiled chicken breast, a microwaved “baked” potato, and these Low FODMAP Lemon Green Beans. The entire meal took about 20 minutes, was filling and tasted great! Win! Win! Win! This recipe is filled with refreshing flavor thanks to fresh lemon juice and zest. Toasted pine nuts add a touch of nutty crunch. And although you can certainly cook them longer if you’d like, I like to just barely cook my green beans for even more crunch! Place pine nuts in a dry skillet (no oil!). Cook over medium-low heat, stirring frequently until nuts start to turn golden brown, about 3-5 minutes. Remove from heat and set aside. Bring a large pot of water to a boil. In a small bowl, whisk together olive oil, lemon zest, lemon juice, salt, and pepper. Set aside. Once the pot of water is boiling, add green beans and cook for 2-4 minutes until just tender-crisp. Drain green beans under cool, running water to prevent further cooking. Shake dry before transferring to a large bowl. Toss with dressing and top with toasted pine nuts. Enjoy! Pine Nuts: A low FODMAP serving is 1 Tbsp. or 14 grams. 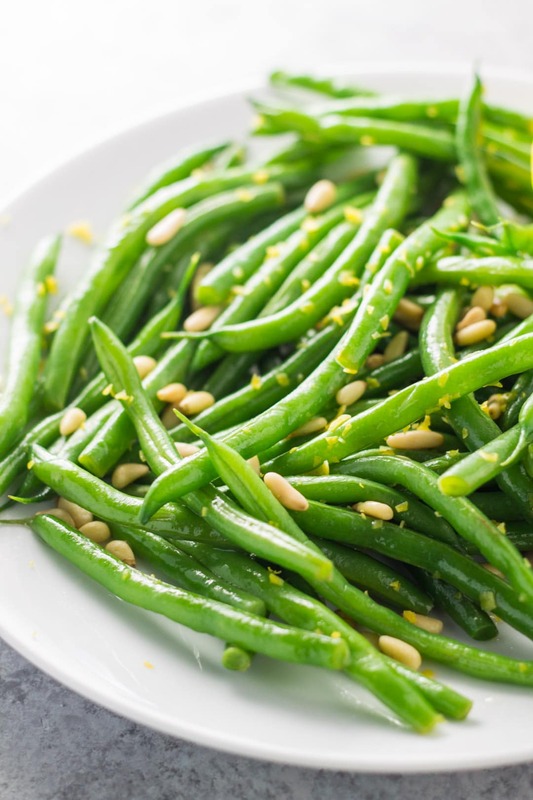 Green Beans: A low FODMAP serving size is 15 beans or 75 grams.